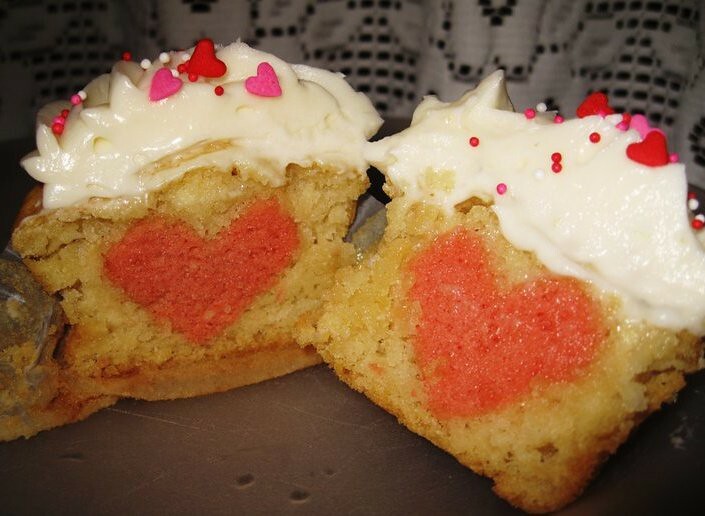 I love the look of this hearts-in-the-cake cupcake by Eugene, Oregon bakery The Divine Cupcake. And I suppose, technically, this is one heart sliced open, but I'm going to call it two hearts since I'm seeing two. I also think it's great that on Mondays they do a sugar-free cupcakes and they also offer gluten-free cupcakes (you can also place custom orders). Today's gluten-free cupcakes were Coconut Lime, Mocha, Lavender, Chocolate (via their Facebook page, which you can check for flavor updates). Visit divinecupcake.com for more information.